Everybody has heard Trailermusic, be it on TV for new series or in the cinema for new films or through the computer gaming industry. I am a new but huge fan of Trailer Music and thought I share this with you as there is so much beautiful music in this genre. 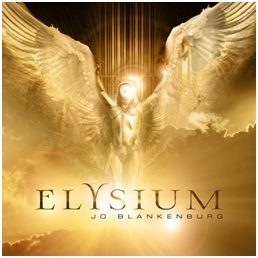 It is almost like classical but some much more monumental, some very emmotional and some just plain epic. Trailer Music is the background music used for film previews, which is not always from the film’s soundtrack. Sweeping melodies and epic themes composed specifically to accompany motion picture footage, that has been crafted into a “trailer” – a mini story which serves to excite and inspire audiences to attend a movie. The music is here to stop your heart, steal your breath and leave you gasping for more – so you really can’t wait to watch the film. Because the score for a movie is usually composed after the film is finished (which is much after trailers are released), a trailer will incorporate music from other sources. Classical music, such as Mozart’s Requiem or Beethoven’s 9th Symphony. “Library” music, which is previously, composed production music. TV Spots – 60 seconds long- for special events, sports events for example, or advertising a new series on TV. Trailer Music is becoming more popular and there are many music companies out there, producing this music. The Fan base is growing steadily and there are fan clubs and facebook/ twitter groups, you can look into if you are interested. Trailer music library companies typically do not offer their music to the public and develop and license music exclusively to the motion picture studios. Because trailers are released on the Web, fans are asking how they can get hold of the music. So Immediate Music did release a commercial album called “Trailerhead,” Reeltime Music with a double CD called “Coming Soon” and Two Steps From Hell with an album called “Invincible” and “Archangel”. They also can be downloaded on iTunes, or Amazon. Immediate Music, a trailer library run by Jeff Fayman with his partner, Yoav Goren. For Two Steps From Hell, selling music commercially is a more lucrative business than it is for many other libraries. It has sold more than 300,000 copies of its two albums on iTunes — a robust supplement to licensing music from its 17 albums available to clients. Here are some famous composers of trailer music- again this is not a complete list, there are certainly a lot more, and also lots of young budding composers with lots of talent. If you like what you see and hear, check out http://trailermusicvibe.blogspot.co.uk/which will give you more in dept information like interviews etc. And join the already existing fans. Lots of Music samples of the above composers can be heard on “youtube” or “soundcloud”. There is so much more beautiful music but it would get too long here, so you tube the composers and enjoy! On February 14th, 2006 Two Steps From Hell was born. 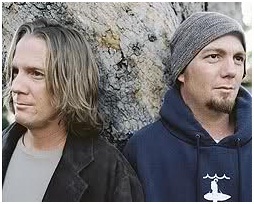 Nick Phoenix and Thomas Bergersen joined forces to write original music for movie trailers. In those short 6 years they have been featured in hundreds of movies, including some of the biggest blockbusters of recent time. Everyone has heard their music most of us not knowingly. Their trailer music featured for films like Superman, Tron, Harry Potter, The Da Vinci Code, Twilight Saga, Narnia, Star Trek, X Men and also series on Television like, Frozen Planet, Dr. Who, Merlin and many more. Their compositions can be heard in “Britain got talent”, the “X Factor”, “Strictly come dancing” and some football events etc. They can also be heard on the History channel quite frequently. Here is a listing with all their albums, whereas they cannot be bought except the last two featured on this page – Invincible and Archangel. 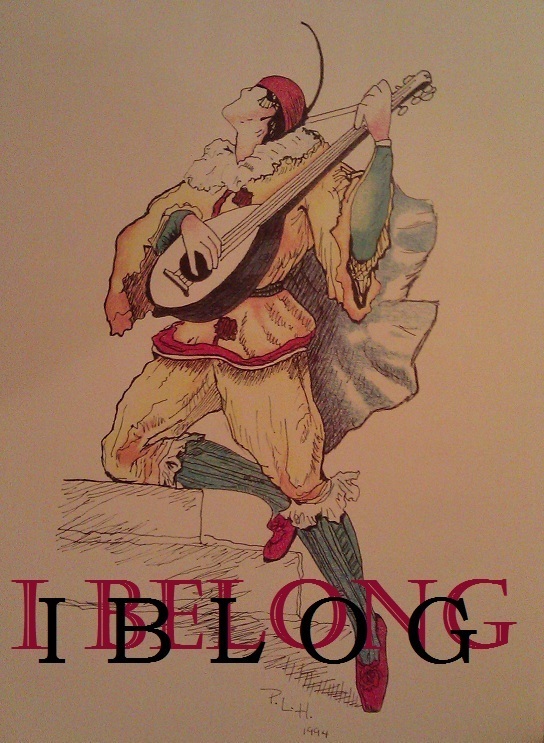 This was their first album . This first release displays the versatility, sophistication and range of the Two Steps philosophy. Two Steps From Hell released SHADOWS AND NIGHTMARES, unique in its artistic melding of live orchestra effects and custom sound design. 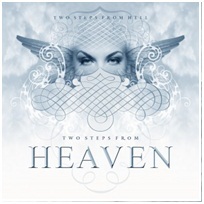 Two Steps From Hell released DYNASTY, an epic explosion from Thomas Bergersen and Nick Phoenix, featuring The Angeles Chorale and The Capellen Philharmonic Orchestra. 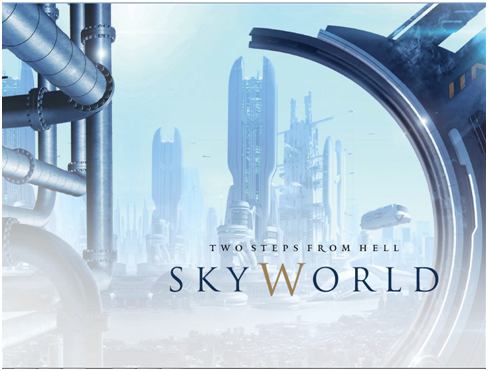 On July 9th, 2007, Two Steps From Hell released ALL DRUMS GO TO HELL: a furious, rhythmic explosion of drums from Thomas Bergersen and Nick Phoenix. This release features 64 tracks of percussive urgency, fantastic rhythmic artistry, massive hits and stunning rhythmic rises. 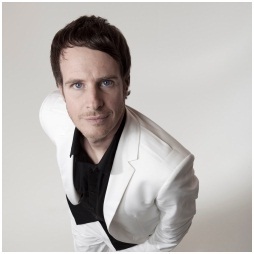 21 original compositions by Two Steps co-founder, Thomas J. Bergersen. 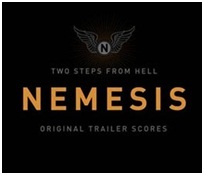 NEMESIS is all about grandeur and monumental power, but these cues are undeniably, masterful compositions. NEMESIS features the seductive voice of Norwegian Merethe Soltvedt. Close to 100 different pieces… this huge collection of evocative music covers a lot of musical ground, with a primary focus on human emotions. Sweeping strings, beautiful angelic choirs, dramatic vocals, ethnic instruments, modern electronic elements, gorgeous sound design, all interacting in powerful synergy to provide music that is guaranteed to touch the hearts and souls of listeners all around the world. LEGEND is an epic drama cd, and is quintessential trailer music, but manages to bring magic and artistry to the genre. Films like Indiana Jones, Mummy 3, No Country For Old Men, WALL-E, Horton Hears A Who, Chronicles of Narnia 2, The Happening, Hellboy 2, The Hulk, Speed Racer, Jumper, and Valkyrie. Terrifying Audio From Disturbed Minds Interspersed With Haunting Themes And Beautiful Melodies From The Criminally Insane. Beware: Highly infectious. Use at own risk. Ashes combines innovative new sound design with orchestral recordings. The result is a hi-fi horror/thriller release unlike any other. A collection of orchestral music that covers styles of comedy, drama, adventure and family films, performed by the 80-piece world class Capellen Orchestra. This album captures the true spirit of Hollywood with memorable themes, playful orchestrations and the power you’ve come to expect from Two Steps From Hell. Composers Thomas Bergersen and Nick Phoenix once again blur the line between film-score and trailer music, and bring something fresh to the world of film advertising. Power Of Darkness was released March 12 2010. One year in the making, it features 32 compositions recorded with the Capellen Orchestra in Czech, drums recorded in Los Angeles, various soloists from around the globe and choir recorded in Utah. This stunning sequel to “Dreams and Imaginations” takes you on a journey through a seamless fusion of acoustic and electronic elements. 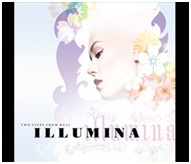 Featuring 33 tracks, “Illumina” offers warm, elegant and beautiful music played by some of LA’s best string players and vocalists. 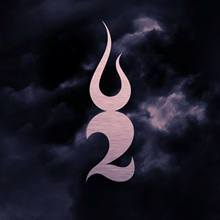 30 of the 33 tracks on the album are from Thomas Bergersen, (Nick Phoenix has written “Missing Letters”, “Rapture” and “Prelude to a Nightmare”). Because the music isn’t really typical of what Two Steps are known for they decided not to release this one to the public, but perhaps some cues will be featured on a future release. Sit back and enjoy a different side of Two Steps. Finally, Two Steps releases a very focused and original drones/trailer toolkit library. There is some amazing sound design in here. But “All Drones Go To Hell” takes the concept a step further and adds live cello, duduk, ney flute, irish lo whistle, electric violin and some incredible female vocalists, creating some very inspiring sound beds. Soloists include Azam Ali (300) and Tina Guo (Sherlock Holmes). Two Steps From Hell presents “Balls To The Wall.” Epic drums and furiously pounding sound design from the depths of….. well you know where. 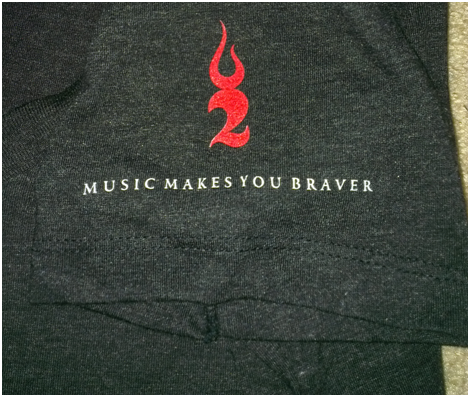 These extraordinarily high quality sound beds have been produced by Nick Phoenix, Thomas Bergersen and Alex Pfeffer. Two years in the making, a lifetime of inspiration.Two Steps From Hell redefine the word “Epic” with the release “NERO”. 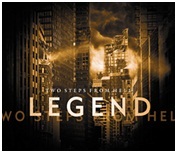 40 new compositions from Two Steps From Hell composers Thomas Bergersen & Nick Phoenix. 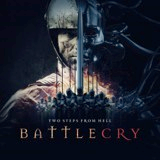 Two Steps From Hell’s first publicly available album, “Invincible” features popular tracks such as “Moving Mountains”, “Hearth of Courage”, “Master of Shadows”, “Freedom Fighters” and many more. A best seller on iTunes, persisting for over a year in the top 10 list it is the most successful contemporary classical album of all time. It is available on Audio CD on CDBaby.com, as well as digital downloads (MP3) on Amazon.com and iTunes. “Archangel” is Two Steps From Hell’s second public album and includes other favourites such as “Mercy in Darkness”, “Titan Dune”, “Atlantis”, “Immortal Avenger” and more. It is enjoying a lot of success, and sides with the predecessor “Invincible” in the iTunes classical charts, where it at one point reached and held the 1st place position for over a week. Thomas Bergersen released his own album which is available on Audio CD on CDbaby.com, as well as digital downloads (MP3) on Amazon.com and iTunes. Please see my other blog on ILLUSIONS. 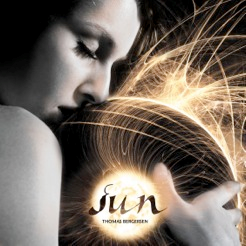 The next public album from Thomas Bergersen called “SUN”is planned for mid 2012. It will have unreleased tracks from “Illumina” and “Dreams and Imaginations” on it.